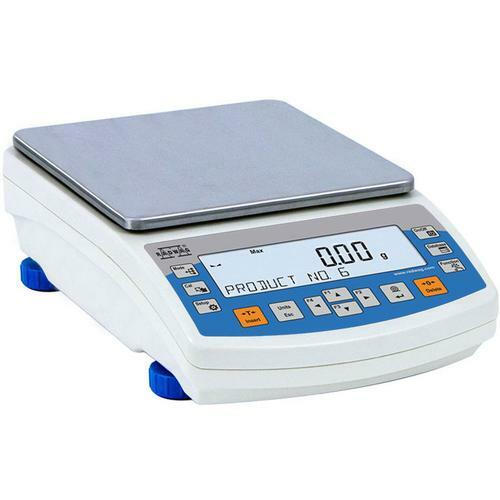 The PS R1 Series Precision Balance represent a new standard, featuring a LCD display which presents a clear weighing result. In addition, the display has a new text information line providing additional messages and data (e.g. product name or tare value). The PS R1 have pans in two possible dimensions: 128x128 mm or 195x195 mm – the smaller pan includes a draft shield. This series includes an external mass adjustment/calibration system. PS R1 balances feature several communication interfaces: 2 x RS 232, Type A USB, Type B USB and optional Wireless Connection. The housing is made of plastic, and the pan is made of stainless steel. The balances also have the option of weighing outside of the pan (under hook weighing). ALIBI memory (up to 100,000 weighments). Bi-directional data exchange is possible thanks to a quick USB interface. ALIBI memory is contained in a secure zone ensuring security over the long term. F1 to F4 – Programmable function and navigation keys. The balance comprises 2 buttons enabling easy access and 4 programmable function keys. Display has a new text information line allowing to show additional messages and data, e.g. product name, operator name or tare value, etc. TOTALIZING - Function adding new mass value to already obtained one. This allows to determine mass content of the mixture, being a composition of number of different consistence components. Totalizing is limited by maximum capacity parameter. 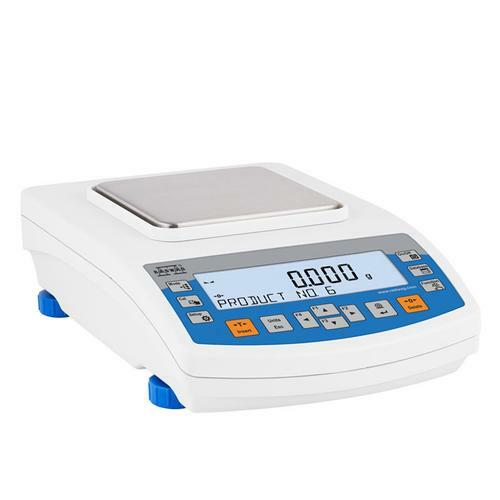 R Series Laboratory Balances (EN) from RADWAG Balances and Scales on Vimeo.